Sharing my love of paper crafting and #Outlander! #summer2018 #todolists #holiday2018 What’s happening in your craft room? Happy summer holidays, All! I know, I can’t believe it but it’s been almost a month since I blogged!! Well, if you’ve read my previous posts, you’ll know that I’ve changed gears a bit and am refocusing my crafty time on me :). That being said, I haven’t cracked my “on-going projects” bin since I was at the weekend retreat in May!!! So what have I been up to? Well, July flew by and included an amazing trip to Barbados to spend time with my family from the East Coast! Here’s a pic of me on the beach!! It was truly gorgeous and am thankful to have had to the opportunity to go! 2. While I was away, Cory took the girls down the ranch and on some Saskatchewan adventures with Dad! 3. Then I packed us up and took the girls down the ranch and Olivia off to her first sleep away camp where she didn’t know a soul! She’s so totally cool with that, she had a blast! The girls and I hit the pool at the Cypress Hills Park as we waited for Olivia which was followed by a full family weekend at the 11th annual Reno Rodeo in Consul! Next up the girls are all off to dance camp next week, I’m going to try and get some things done around the house and dig out the school supplies that I ordered in June and haven’t opened the box! I’m hoping to squeeze in some tent camping after that (when it cools down to a more reasonable temp). Also, keeping with the me-time crafting theme, I am already planning to attend a retreat weekend the September 22nd weekend with a friend near Cochrane. I’m have opted out of the Scrapbook Carnival at Spruce Meadows this year, for this full weekend retreat instead. More time for my money and not need to get childcare on the Friday. 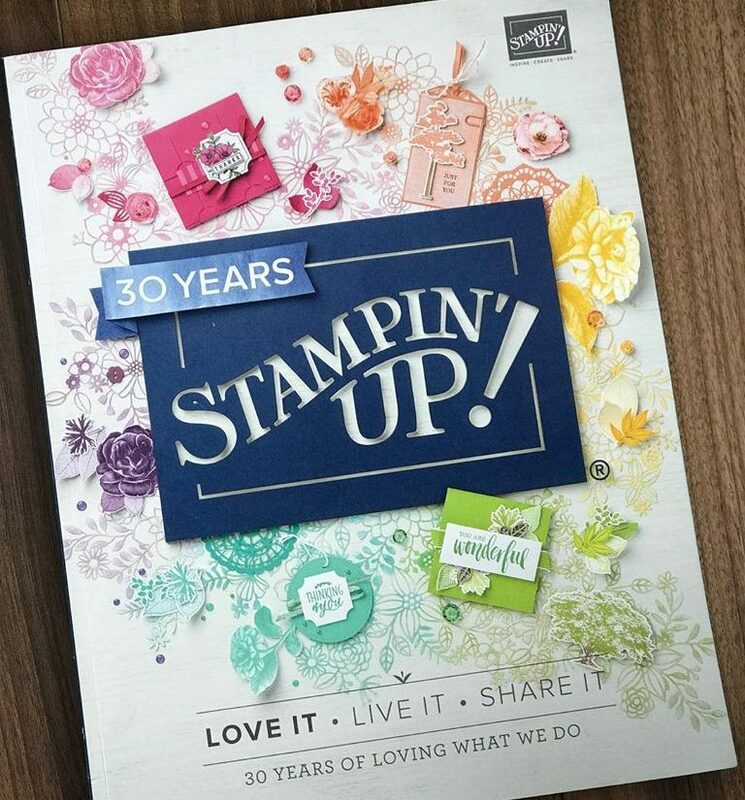 I am still a huge fan of Creative Scrapbooker magazine, and will definitely be stopping by on Friday (on my way out of town to the crop) to shop and say hi! Make new Outlander postcards for #droughtlander – OMG, did I mention the season 4 premiere date has been revealed??? November 4th!! Laminate and file all the kids’ work and projects that I have piled up from several years in the basement. Build a new ceiling fan and have it installed in my kitchen (the old one broke years ago and given the 30 degree weather, I really need to get on this!). Dig out and label the kids’ school supplies (not Olivia’s, just the kinder want it). Go school shopping for fall clothes, including new indoor shoes (this is on the list for next week when the girls are all at dance camp and I can shop solo!). I’m sure the list goes on so do feel free to give me encouragement to just pick and start! Anyway, that’s all for now. Do watch for a Facebook Live of all my new fall goodies when they come, and a SAVE the DATE for my Christmas Card stamp a stack retreat! If you are interested in more info on the event, please do message me or email: janleygrant@hotmail.com. What are you scrapbooking this days? I had told myself I’d get back at my UK album after I came home from my weekend away in Canmore in the spring, and that just didn’t happen. Between a million things going on, finishing up some card projects for church, teacher gifts for June, starting a learn to run program and now summer planning, there just hasn’t been the time to make my space a scrapbooking mess 🙂 But it will be…. take lots of photos! try a photo a day challenge! smile, even when it rains, it will be snowing before we know it! Off on two new adventures! Our first family trip to California and Disney and my first attempt at traveller’s notebook! I’m pretty laid back about this crafty experience, don’t have super high expectations for myself, just like the idea of sitting down in the eve to gather things we have collected, use some post-its where I’d like to put photos, do a bit of colouring and glueing embellishments and reflecting on our day! I’m hoping this will set up my trip journalling as I usually just take a tiny notebook and write down the day’s events, highlights and maybe the food. I’m hoping this will allow me to bring home that much more info on our trip to scrapbook in the larger format. I’m going to try and collect more little moments, write down any funny moments/quotes/happenings to remember and come home with more detail to our memories. Zip up Bag from Thirty One Gifts – It’s called the Day by Day Case – It’s intended for a Bible but for this trip, it’s perfect for traveller’s notebook – If you’d like to order one online, click here and you will reach my friend, Nicky, in Calgary, AB. Traveller’s notebook – can be purchased online or at Michael’s, there are all kinds out there, I’m not sure exactly where this one came from but Jenn also makes them so there are all kinds of ideas out there. Faber Castell Gelatos – to add some each color and fun! Small post-it notes to stick in for photos and notes to do later. Embellishments – I’m taking some Disney princess chipboard and some Jolee’s flip flops that are adhesive backed. Writing Utensils – I’m taking a blue pen, black Micron .08 and a few Faber Castell Pitt artist pens, I just love them, in blue, pink and gold 😉 Take whatever you prefer that is comfortable and fun. Please comment if you have any suggestions for this newbie to the craft, I’m super excited to dig in and we are counting down the hours now until we head off to the airport. Check out my online shop here, thanks!